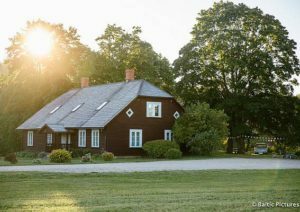 A country house in a landscaped setting by a pond and near forest. 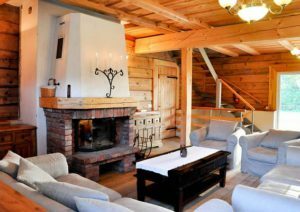 The house is comfortably appointed with several fireplace rooms, a sauna, a pool. Extra rooms available in the Sauna house. 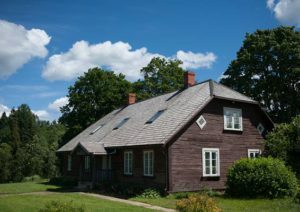 Latvian Sauna: sauna procedures, bath-house attendant service. Massages: classical or relaxing massage, facial massage, body peeling, hot honey massage etc. The hostess offers home-made meals. The farm buys from local food suppliers – farmers and food manufacturers. Tourists can learn about the history of the Valmiermuiza estate and the brewing of beer, beginning with raw materials and ending with finished products. The visit is enriched by tastings of live beer and stories about Latvia’s traditional holiday beverage. The brewery shop sells live beer, homemade goodies and selected souvenirs. The craftsman manufactures barrels, hot tubs, furniture, stairs, doors and other useful objects. Guests can take a tour, learn about the relevant skills and experience, and help in manufacturing something that will be of use in the household. Guests can watch how barrels are made from start to finish, and also try their own hand at the craftsmanship.